It’s Blogging Week here at Cristian Mihai blog (yeah, I don’t have a fancy name for my blog). We’ll talk about blogging, different tools that make blogging easier, and other stuff. The other stuff is mostly related to some of the do’s and don’t of blogging, what works and what doesn’t. Everything you’re about to read is common sense. So, please, don’t expect some 3 step tutorial to gaining a billion followers. And now for today’s post. 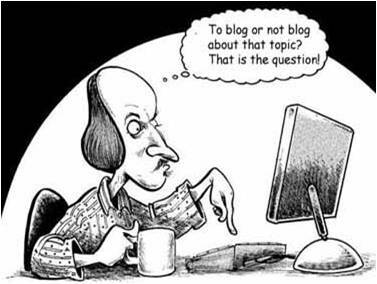 7 Golden Rules of Blogging. They Call But I Remain. Sunbeams make a pattern across this page, a pattern of nothingness; somewhere dark, somewhere light but in essence all an illusion. Crows sing their faithful song to the wind but to me they retell only the devouring scene of battle, as if they were waiting to eat my wounded heart. Their shadow sometimes flitters across my face, sometimes I look up to shout at them to go away but I have not the strength. They remain. Why is it that from darkness light looks so beautiful? And from pain, relief? Maybe this is my destiny, this hollow pit of sadness which I cannot escape, but then I think of these words, these dark letters full of sadness and they taunt me, they challenge me to come out, to escape, to fly. They call but I remain. Author mmbar42Posted on January 28, 2017 September 18, 2017 Categories AUTHORS, Blogs, EssaysLeave a comment on They Call But I Remain.